Carolyn has been a mom, judge, pastor, and family caregiver. Latest book with co-author Sig Cohen, Love’s Way: Living Peacefully With Your Family as Your Parents Age, debuts in January 2019. Denise Damijo is known as the Momapreneur’s Business and Lifestyle Strategist. She specialize in helping businesses get clear, get intentional, and get paid by strengthening their content, marketing, and sales plans. Denise has been featured in cool places like the Huffington Post, Addicted2Sucess, She Owns It, Elite Daily, and Women On Business. When she is not helping build successful businesses, she is spending quality time with her husband and 5 children (3 under the age of 2 years old). Valerie Jones is a Mindset and Transformation Coach. She works with women entrepreneurs all over the world, helping them overcome the inner blocks and mindset limitations so they can show up big in their business, and achieve higher levels of success and financial freedom than they ever dreamed. She also coaches the laptop lifestyle for entrepreneurs who want to catapult their online business into the stratosphere so they have the freedom to live life on their terms. She is also a Couples Coach with her partner, James Robertson. 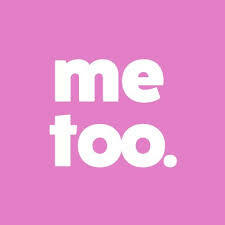 They work with couples in crisis as well as preventative work, helping them to create a solid foundation of intimacy, trust and connection that will withstand the storms of life. Valerie is launching her own laptop lifestyle, and will be living in Europe and elsewhere full time while she continues to support other women to do the same. Rita Fuller-Yates Lifestyle Brands are growing and Rita doesn’t want you to miss all the action! 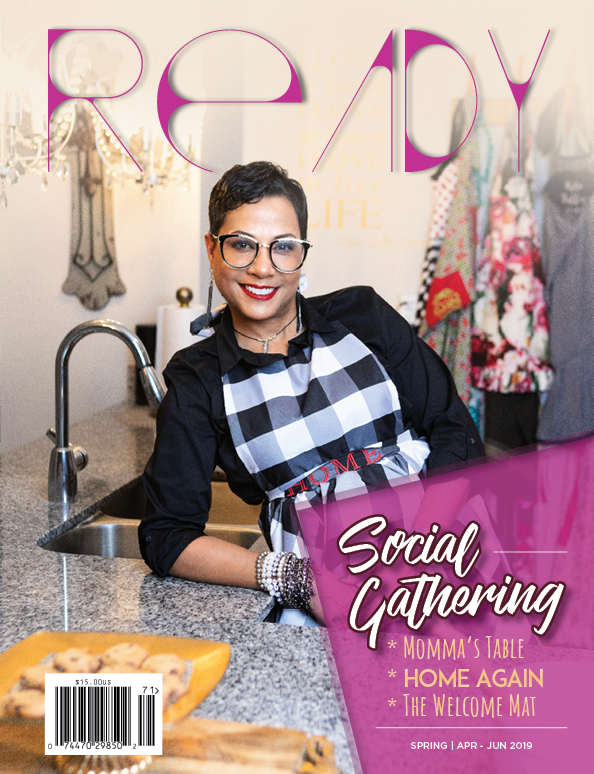 She is taking her mission to Bring Social Home Again to new levels and working diligently to attract new audiences to share the good news. In America today, we have many structured processes that improve Lifestyles and increases self-awareness. It’s easy to have access to a Preacher, Teacher, Empowerment Coach or Doctor, but what about the person who teaches you how to have fun? Fuller-Yates provided the tools and resources to ensure America learns to embrace tough conversations, while also understanding the value of letting go and having fun. Her newest innovate club, The Columbus Couples Club, is created of like-minded couples that enjoy having fun with other couples. Fuller-Yates provides the source to the evolution of social entertainment and competitive fun. Follow the Columbus Couples Club link on her website to learn more, or simply upload your picture to the page (Columbus Couples Club) on Facebook. Fuller-Yates embraces loving people, teaching people, and becoming a resource to help people. When a country knows better, we can do better, and Rita Fuller-Yates Lifestyle Brands are the source to help Americans improve their lifestyles. Join the conversation about social entertainment by visiting her website @ www.ritafuller-yates. Learn more about her vision and what you’ve been missing. Listed below are upcoming events, please save the dates or register today @ www.ritafuller-yates.com. Marvia is a Texas educator/creative soul who enjoys writing, creating art, laughing loudly, baking, dancing ridiculously because it’s fun, and smashing lies that keep people from living whole. Join her at marviadavidson.com. You can also follow her on Twitter and Instagram @MarviaDavidson and on Facebook at facebook.com/marviawrites. 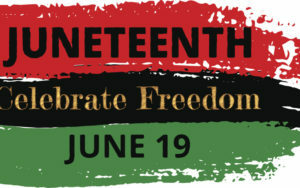 Juneteenth is the oldest known celebration commemorating the ending of slavery in the United States. To learn more Google Juneteenth and join a celebration in your local area. Please visit the READY Facebook page and share your experience.